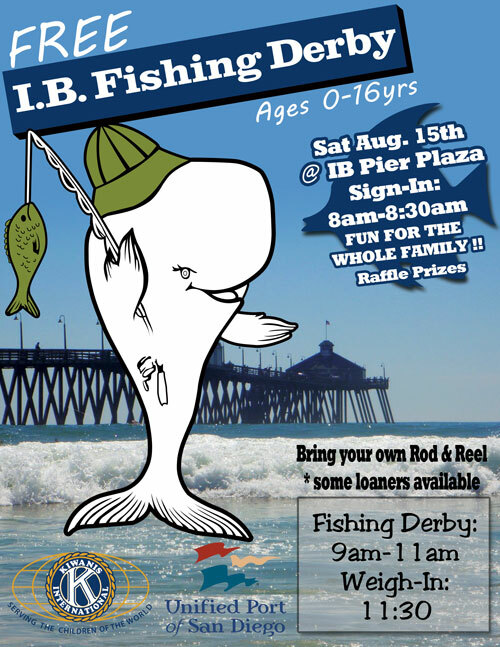 The Imperial Beach South Bay Kiwanis will be holding their annual Free "IB FISHING DERBY" On Saturday August 15th. Sign in Starts at 8am. Prizes galore will be given away. For children ages 0 to 16.